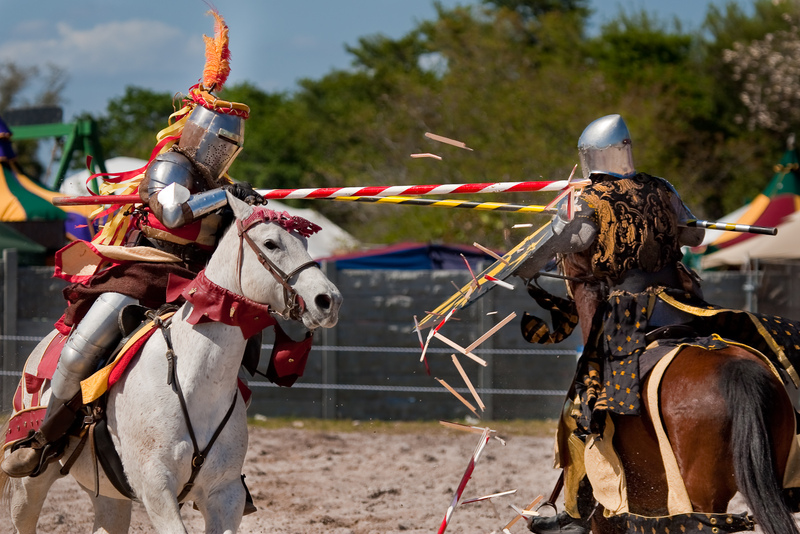 Take a walk back in time at the Florida Renaissance Festivals. A day at this festival offers guests the sights, sounds and smells of a long ago time. There is truly something for everyone; Ladies, Gentlemen, and children attending the festival can watch authentic jousting with the King, take out your frustrations by throwing rotten tomatoes at someone, play a giant game of chess or take a ride on the World’s Biggest Rocking Horse. There are so many activities, demonstrations and shows that it is difficult even to list them all. Children will be thrilled to take a ride on mechanical amusement rides, chat with a fairy, watch a circus perform, sword fights or even chat with an authentic Privy Cleaning Woman complete with suspicious looking mud on her face. Everywhere guests look there are fascinating and awe inspiring shows and surprises. All the show are entertaining and several of them are created specifically for the kids like Olde Tale of Robin Hood & St. George and the Dragon, Dragon Scales and Fairy Tales, and the Knighting Ceremony. The festival even offers fun and educational tours for Scout Troops to earn patches. There is no lack of delectable delights for those attending;guests can pick up a giant turkey leg, a 1 pound cookie, or traditional fish and chips among a multitude of other fares. Don’t forget to get a cup of mead to really put you in the mood. swords and armor, authentic renaissance garb and fun fairy wings for the kids. The festival is held every year at Quiet Waters Park in Deerfield Beach in March and then again at Historic Virginia Key Beach Park in Key Biscayne in January. This year the Key Biscayne event will be held January 15-23, 2011. and the Deerfield Beach Show will be February 12th- March 13, 2011. Children 5 and under are free, Children ages six to 11 are $7 and Adults are $20. This entry was posted in Events and Reviews, Florida, Uncategorized and tagged artisans, Family Activity, Festival, Kids, Music, performers, Quiet Waters Park, Renaissance Festival, South Florida by Cynthia Buckley. Bookmark the permalink. This very well written and informative. I frequent the festival every year and look forward to the excitement and atmosphere. Thanks Marie, glad you enjoyed it, we are looking forward to the festival too!